I've never taken good pictures of my 1st series aliens and I don't have easy access to them right now, so for now here is the 1st series as presented on the Colorforms OSM fold out flyer. 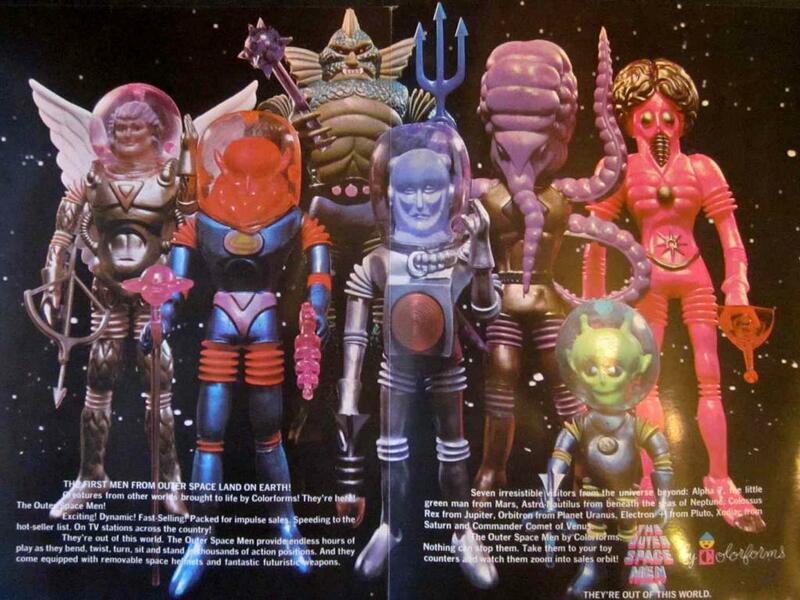 In order from left to right- Commander Comet, Xodiac, Colossus Rex, Electorn +, Astro-Nautilus, Alpha 7 and Orbitron. This is the front and back of the OSM fold out sales flyer seen above. This is 8.5" X 11" when folded. 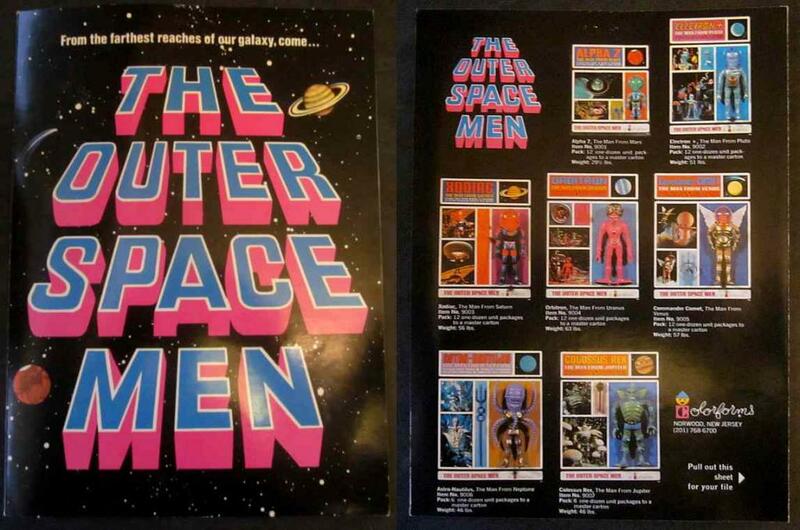 Colorforms still had these to mail out in the late '80s. I remember getting one of these in the mail in 1988 and being blown away to see all of the aliens mint on the cards. At that time the only name I even remembered was Colossus Rex. I was immediately disappointed to not see Cyclops amongst these. It wasn't until then that I realized that there was a 2nd series.